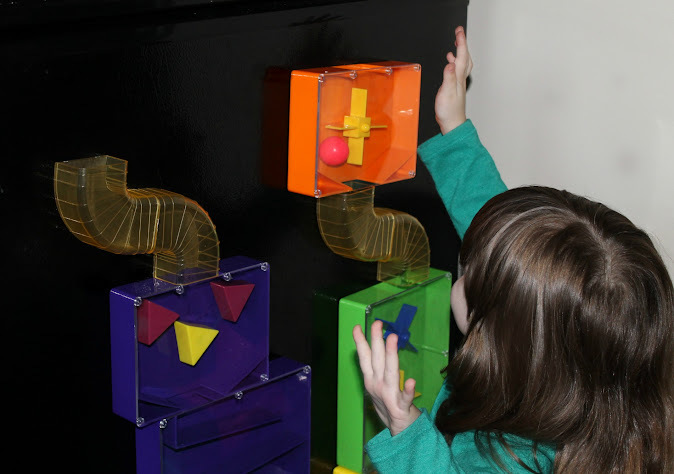 When I saw the Wondermaze, I thought it was the coolest toy I had come across in awhile. It’s like something you would find on the wall of a children’s or science museum. And now you could bring it home with you! 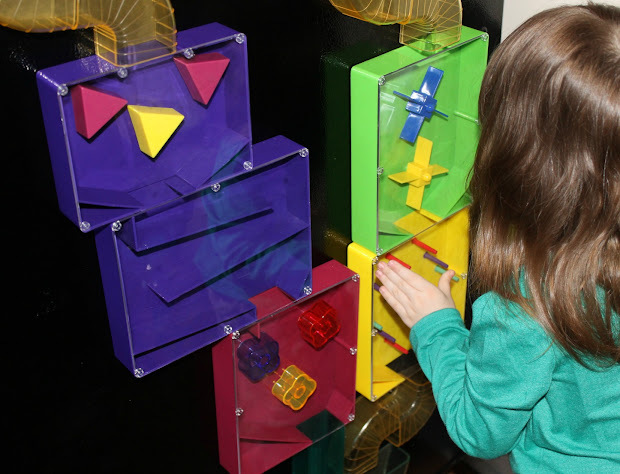 The Wondermaze is a set of tunnels, bends, drops, levels, twirls – pretty much everything you can imagine. They are very sturdy plastic and each piece is backed with magnetic plates, meaning this doesn’t have to be installed somewhere. 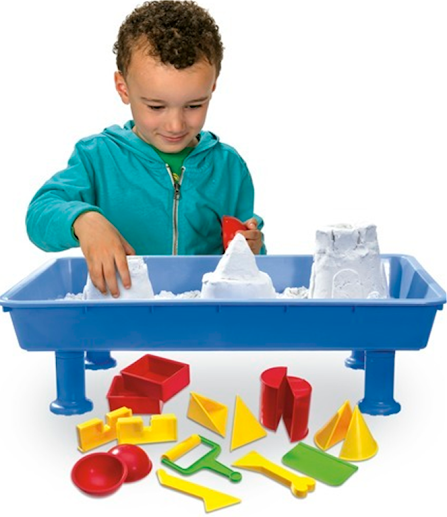 The kiddos can swap pieces around, move them from place to place, and still have an extremely fun toy to play with. I had assumed that Bubbles would love the toy, but I may have underestimated just a bit how much she would love this. We currently have it set up on the refrigerator door as that’s the largest magnetic surface we have. I’ve lost count of the times she’s dropped the included rubber balls down through the mazes, sometimes racing herself by dropping two balls at once, and sometimes racing against Mama or Daddy. Museum Tour and I would like to help you choose a favorite item of your own! One reader will win a $30 Museum Tour gift certificate. Giveaway closed – congrats Seyma S! What other Museum Tour item do you love? I like the Fairy Tale Princess Tent. The magic kit I saw looks awesome!!! I like the Manga – Getting Started toy. I like the art noveau workshop. I also think my son would enjoy the Super LED Cactus Garden from the Museum Tour site.